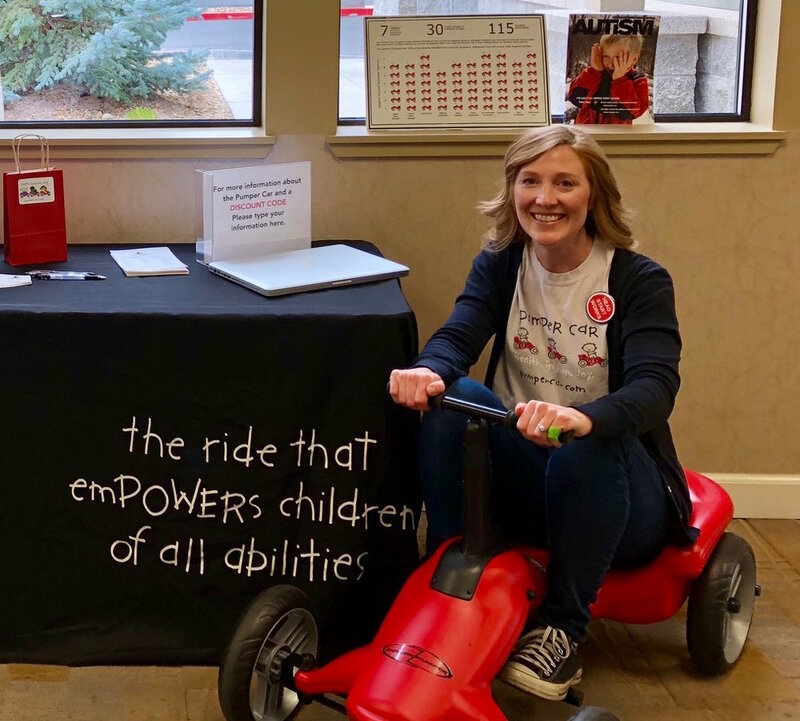 The Oregon Head Start Association Spring Conference in Lebanon May 2-4 was a great chance to feature Pumper Cars to attendees who included Oregon Head Start employees but also many parents. Additionally, it was an opportunity for our event coordinator, Jaimi Anderson, to make a well-received presentation on “The 4 Fs: How fitness and fun affect focus and fundamentals” as an educational session. Jaimi also talked about the importance of inclusion. This means including kids of all abilities, especially in physical activities. “We need to make sure all kids can get their hearts pumping so their minds can work at their best—even kids in wheelchairs,” she said. Jaimi ended her session with our video about Madeline Cooley, an inspirational young girl with cerebral palsy affecting all four limbs. Madeline has benefited greatly from riding a Pumper Car for physical therapy… and fun.